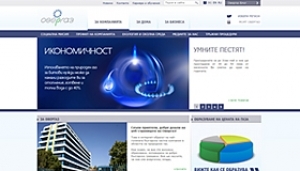 Design and development of a dynamic website for Overgas, the biggest Bulgarian private company in the field of natural gas. Overgas corporate website provides great user experience and intuitive navigation. The website is professionally designed and built according to the latest technology, trends and enhancements.